But if the 2015 season had to end... at least it went out with a bang! 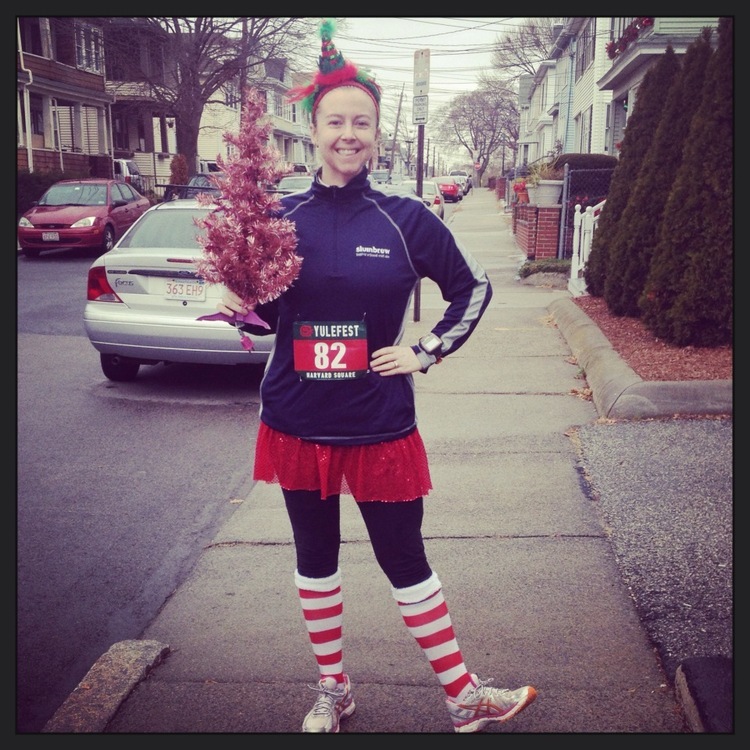 The Yulefest 5k is my favorite in the Cambridge 5k series. 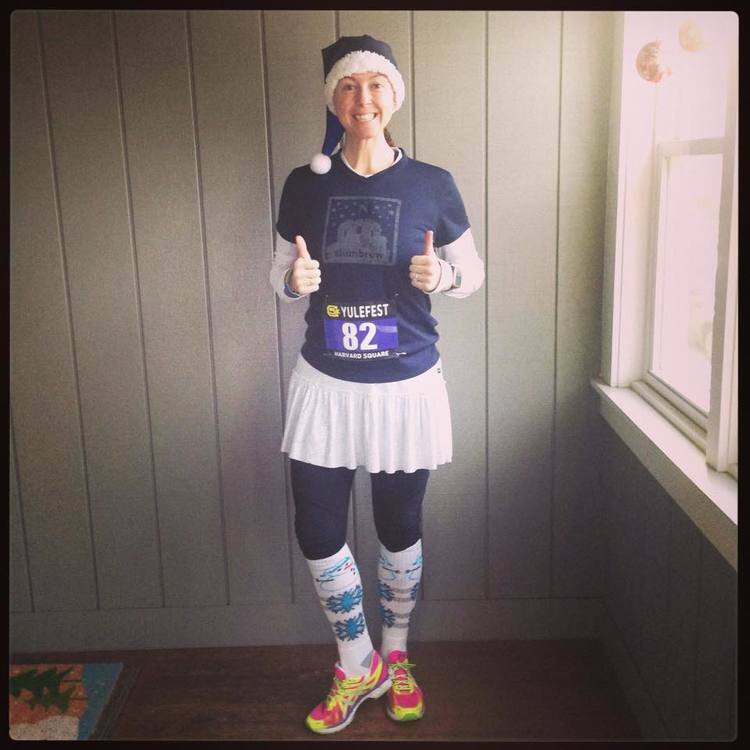 2015 marked my fourth time taking on the Yulefest 5k with the Slumbrew Happy Soles. It was also sweet avoiding bag check by leaving our stuff in our team's tent. After chatting with the team and hitting up the port-o-potties, we headed to the Start Line. It was a short walk from the party area so a nice way to warm up the legs. For the first time in four years, we had a glorious weather day. I was actually toasty in my long-sleeved shirt. 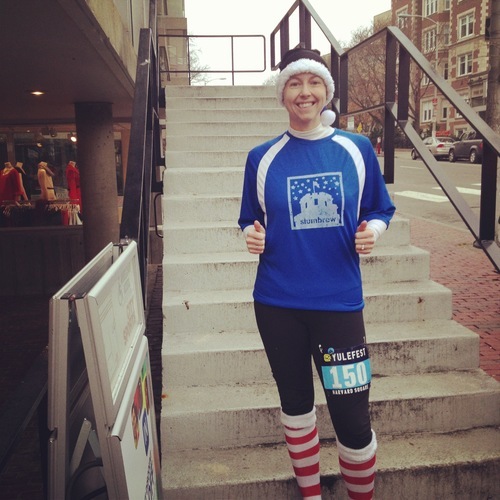 Since I had run the hilly Jingle Bell Half the day prior, I had no idea what my legs would be capable of for this race. Since it was mainly flat, I was looking forward to letting the legs shake themselves out. My legs felt like lead. Darn those hills of New Hampshire. Thankfully Page let me set the pace because I felt like I was running in molasses. I knew the legs needed to get the lactic acid out and I focused on simply putting one foot in front of the other. I actually turned my Garmin around so it was under my wrist so I could take a time pressure off of myself. Page had never really run in or around Harvard Square so it was great to see someone experience a neighborhood/course for the first time. Well that was a shocker. It was also a reminder that I am horrible at gauging my pace. In my mind we were moving about 2 minutes slower per mile - at least. So the time for Mile 1 was a pleasant surprise. I love being at a race where people take the theme seriously. :) There were some amazing team costumes, as well as individuals thinking outside of the box. I wish I had taken more pictures on the course. But take my word for it. It made me want to seriously up my costume game. Once we hit the Mile 2 marker, it was all mental for the final mile. I knew the incline was coming and my hamstring wasn't ready. It was feeling sore from the day prior. Oh and we got a free candy cane from an adorable kid on the side of the road. Yay taking candy from a stranger. I dug deep and as we approached the incline I spotted Santa. Page said: "Just run to Santa." Alright my friend, so I pushed with everything I had. As we crested the hill, I realized I had nothing left. Luckily, we were about 1/2 a mile to the Finish and I refocused on putting one foot in front of the other. The energy of the spectators and those that had already finished was electric. I tried to feed off of it as I tried to pull some sort of gas out of the tank. FYI: The tank was dry, but I tried to pretend it wasn't. Not my best and not my worst for the course, but I take any Finish time I can! Page and I grabbed a water and headed back to the post-race party area so we could grab a Swissbaker pretzel before the line got long. Mmmm carbs! After getting my pretzel, I headed to the timing tent to check the official time on the iPads available. Damn proud of Page and I for this! Big thanks to Page as always for being an awesome BRF! :) I wouldn't have finished without her. I was excited to hand out a 16 ounce can of Slumbrew to our team as a thank you for helping to #SportTheFort. Caitlin and Jeff (owners of Slumbrew) are so good to our team. It is always a pleasure of mine to meet and greet with our team, find out how their races went and what they have coming up next. The tent was a huge score. I didn't feel like people were on top of me and I could actually hear the people I was talking to. YAY! Always a win. We also had some great food in our tent since our team was over 60 people! Thanks to each and every Happy Sole for being YOU! Since I was handing out gifts in the tent, I missed the costume contest and dance party, but from what I could hear they were both a HUGE success. Page and I snuck out a little early to get home, but overall it was a blast as always: great course, good beer and an electric vibe. 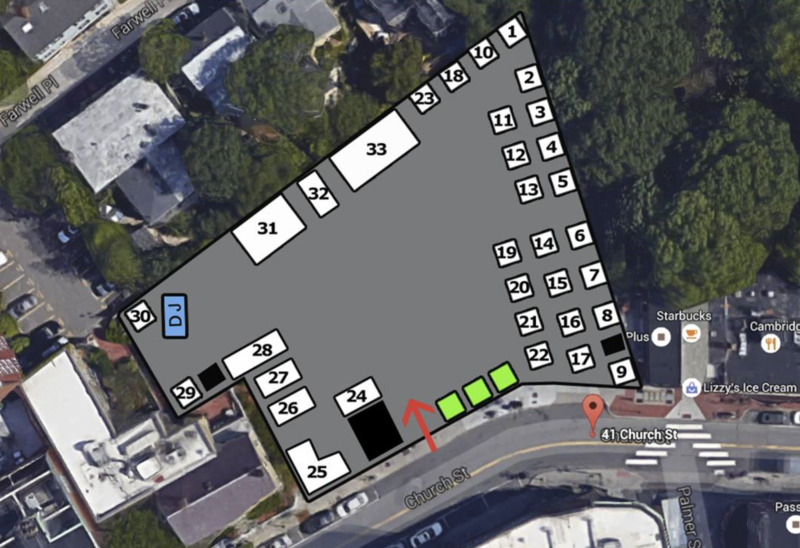 See ya at the next one - Craicfest 5k on March 13.